This grand 4-bedroom colonial home on 810m2 offers the complete package - two levels of spacious and comfortable living, a generous yard and swimming pool plus a sweeping outlook. The home has undergone a meticulous and sympathetic renovation and has graced the pages of home magazines and featured in thedesignfiles.net. This is a stunning residence that presents modern conveniences in a timeless fashion. An open front verandah and wide hallway welcome you inside the home, where you will find soaring ceilings and polished timber floors. The upper level opens at the back to reveal an enormous kitchen, dining, living and entertaining area. This is a fantastic, light filled space, which spills out to a full-length timber deck enjoying picturesque views over the garden, pool and surrounding suburbs. Even the most enthusiastic home cook will be impressed with the stylish kitchen, which features Miele appliances, including double ovens, integrated Liebherr fridge/freezer and an abundance of storage. 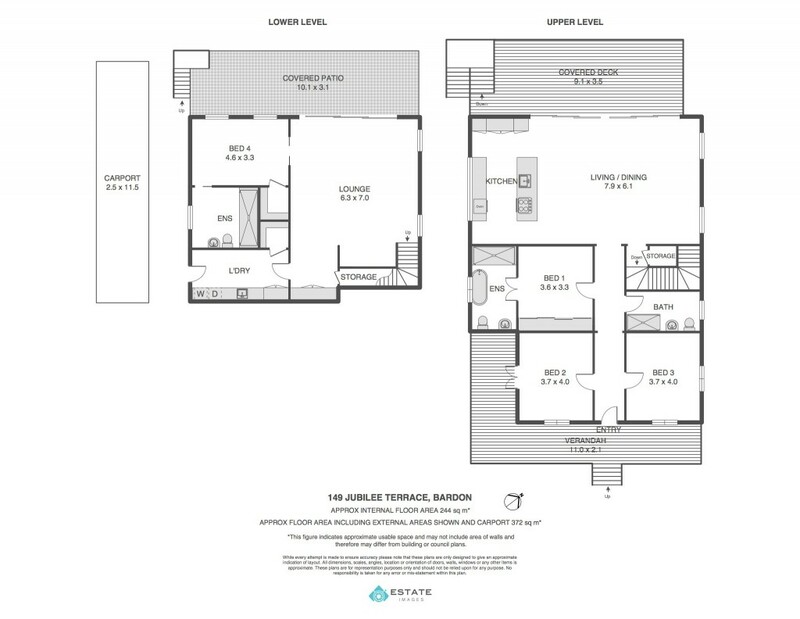 There are three bedrooms on the upper level, including the Master. All bedrooms are large and have plantation shutters. The Master has an ensuite bathroom with a freestanding bathtub, while the other bedrooms have the use of the generous and equally impressive main bathroom. Downstairs you will find a vast informal living area, which opens directly onto a natural stoned terrace, shady yard and swimming pool. This is a brilliant layout that invites easy indoor/outdoor living and entertaining. There is a large, light filled bedroom on this level with an ensuite bathroom. There is also a family sized laundry with plenty of storage. The home has ducted air conditioning throughout, secure gated entry and off-street parking for two vehicles as well as lots of under house storage. It is in a central, inner city location, close to parks, well regarded schools and boutique shopping. This gracious property offers expansive, stylish living and superb buying.